our resin theme from last month. This month’s theme comes from The Straight Up and is all about anise, a most appropriate theme for this time of year. We decided to see what we could do for it using licorice root and star anise pods as our theme-appropriate ingredients. 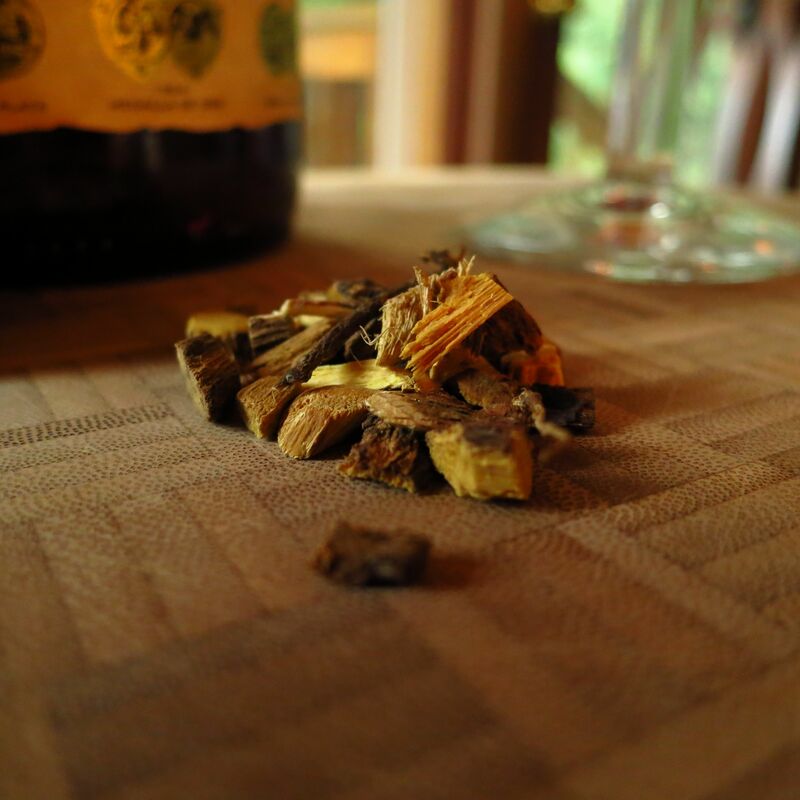 We wanted to infuse some sort of aged spirit with licorice root, but we weren’t sure what would work best. 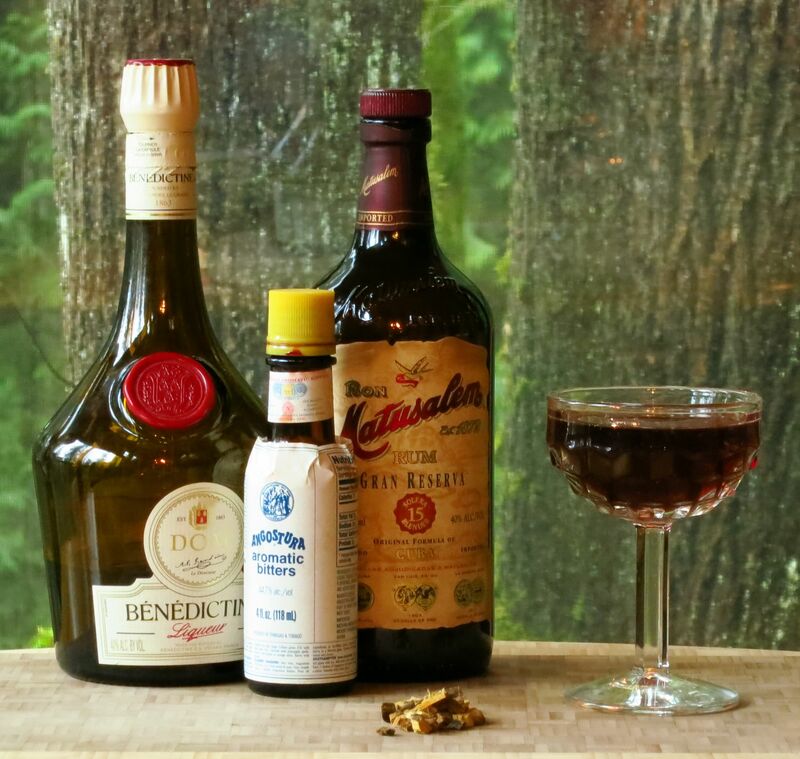 We tried making four small experimental batches using mezcal, scotch, bourbon, and rum. The rum was the clear winner, keeping it’s slight sweetness and caramel-y barrel notes while picking up sweetness, earthiness, and anise flavors from the licorice. The bourbon was pretty good too, while we wouldn’t recommend the mezcal or scotch. The smoky qualities of those spirits did not play well with the licorice’s flavors. Once we had the infused rum figured out, we added in blackberry liqueur. This brought some dark fruit flavors and complemented the earthiness of the licorice root with the bramble-y notes from the blackberry. Then we added a little bit of Benedictine and bitters to bring some additional depth and complexity. Stir ingredients with ice, strain into a glass, enjoy! Nose: Earthy licorice. Slightly tart dark fruit. Very subtle sweet hazelnut. Palate: Clear sweet blackberry on the front. Slightly musty orris root, caramel from the rum, and slight violet notes on the mid-palate. Strong palate-coating licorice on the finish along with a little bit of spiciness from the bitters. Violet and orris root after taste. The Far Afield would probably be better as an after dinner drink, due to its palate-coating nature. Combine and let steep overnight. 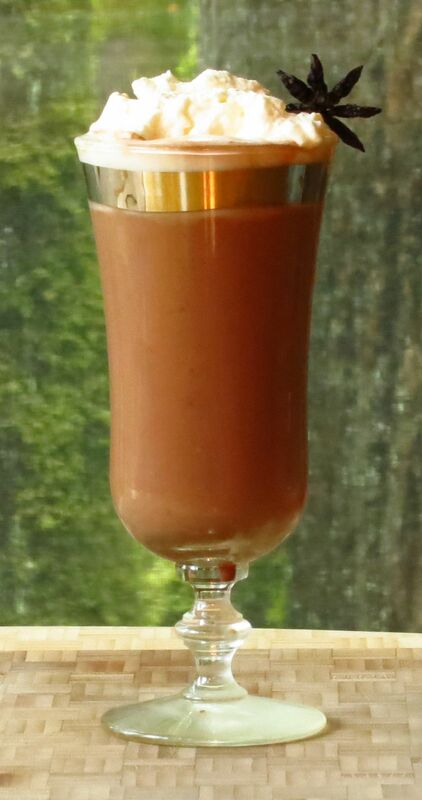 For our other drink, we both thought the star anise would work well with chocolate, and since we rarely do sweet or dessert drinks, it seemed like a good time to switch things up. Here we offer an enhanced hot chocolate infused with star anise flavor, perfect to warm up with after a cold hike or in lieu of dessert after dinner. Add bourbon to hot chocolate while on stove to warm it slightly. Pour into a glass. Garnish with whip cream and a star anise pod. Palate: Bourbon barrel notes and bittersweet chocolate on the front. Rich creamy chocolate with plenty of star anise spice on the mid-palate, with the bourbon continuing to make its presence known. This translates into a nice warm burn on the finish. Very thick, rich, and delicious. 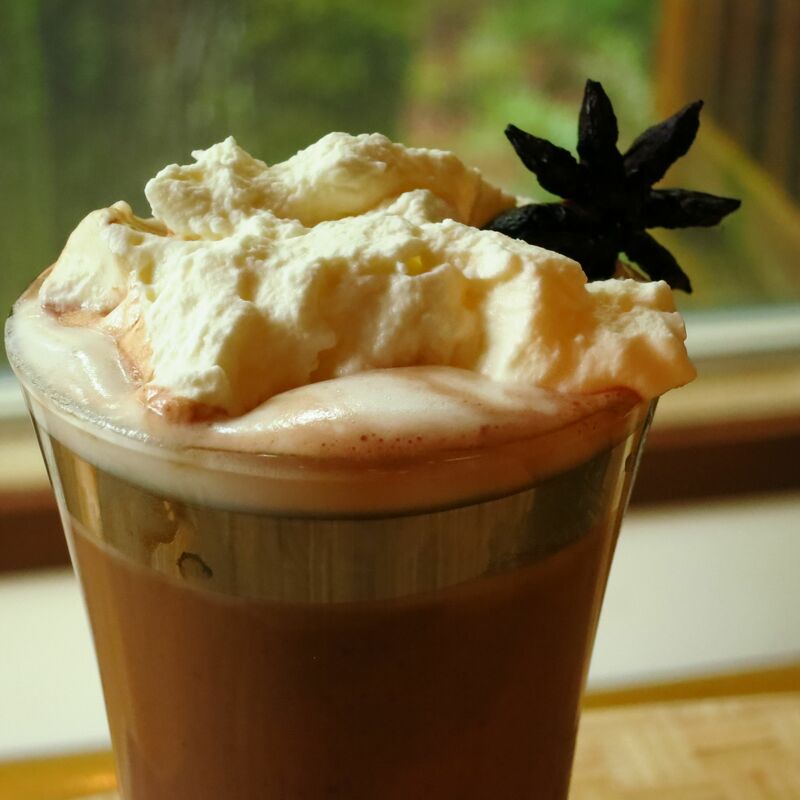 *Star anise infused hot chocolate: Simmer 4 oz milk with 2-3 star anise pods for ~15 minutes. Add 3 tbls (or amount recommended by manufacturer) hot chocolate mix and whisk until combined. We recommend either the Theo or Intrigue hot chocolate mix. Thanks again to Nick for the fun and tasty theme this month. Hope everyone enjoys our anise offerings, and looking forward to trying some of the other clever concoctions that get presented. This entry was posted in aged rum, benedictine, bourbon, Mixology Monday, Original Cocktail and tagged far afield cocktail recipe, intrigue hot chocolate, kentucky star cocktail recipe, Mixology Monday, star anise, theo drinking chocolate. Bookmark the permalink. The Far Afeld sounds wonderful. Love the color as well, not sure if I have any crème de mure lying around but I think I have a little Chambord hiding somewhere. I wonder how this would fair with my Crème Yvette?….Guess I’ll have to find out! Cheers. Thanks! Yes it turned out very nicely. Let us know what you find out. 🙂 We’d suggest backing down the Creme Yvette dramatically if you do try it. An ounce would be a lot.